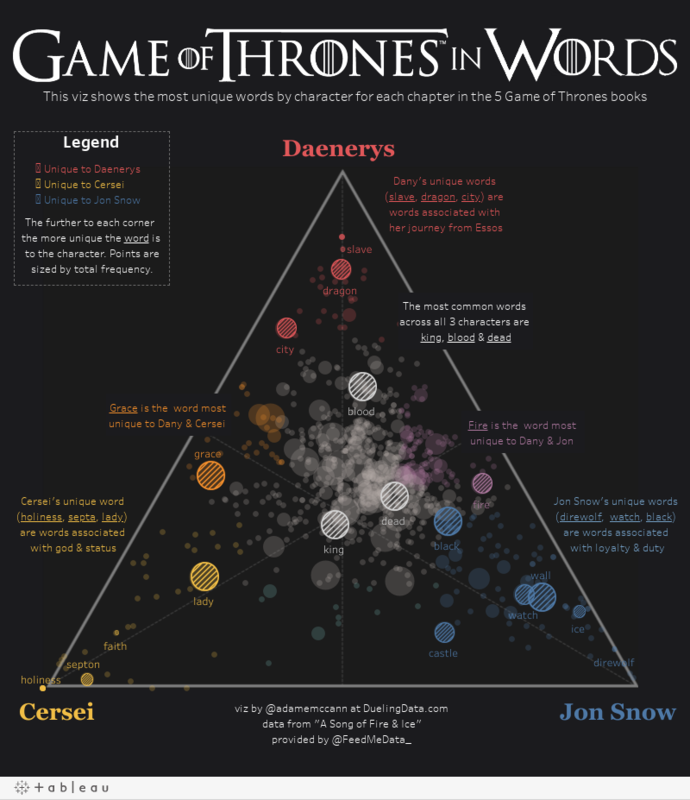 This visualization looks at the language of the 3 major remaining Game of Thrones characters. Who will take the throne? Let's take a look at the language used by George RR Martin for each character's chapter to understand them better. This shows which words in the novels are unique to each character by frequency.